We take a break from our political coverage for the fifth annual installment on the remarkable career of Toronto Raptors’ point guard Jeremy Lin. The first, "The Strange and Badly Misunderstood Career of Jeremy Lin" was published four years ago and examined the many twists and turns Lin's career had taken from his Linsanity days with the Knicks until that time, February, 2015, when Lin was in the midst of a lost year with the Lakers. Part 2 from February, 2016 (“The Jeremy Lin Saga Continues...JLin Strikes Back as a Hornet” was a hopeful chapter that covered the second half of his Laker madness, a strong second half that set up his signing and ultimate redemption as a role player with the Charlotte Hornets. Part 3 from February, 2017(“Hamstrung”) covered the remainder of his Hornets tour, through the signing with the Nets and his maddening, injury-laced first year with them, through last year’s All Star break. Part 4 from February, 2018 (“Devastation”) chronicled yet another strong second half performance, as Lin returned to the Nets, albeit with limited minutes, and instantly turned them into a respectable squad, and then on through the summer when the Nets acquired D’Angelo Russell, and through the devastating injury in the first game of the season and his rehab to yet another uncertain future. So we pick up the story from one year ago, with Lin in Vancouver. Through the twists and turns of his remarkable saga he remains the controversial enigma that sparks a full gamut of emotions from NBA fans. The central thesis of these articles is that we do not know -- and may never know -- his true ceiling as an NBA player. Even after nearly eight seasons, Lin is viewed along a wide spectrum, polarized evaluations that range from over-hyped one-month wonder to potential superstar. The truth surely lies in between, and the clock is running. The links to the other articles in this series are provided at the end of this installment. If you like the series, please share the articles with your fellow Lin fans on social media. Jeremy Lin’s NBA career has nearly ended on six separate occasions: when he went undrafted after a stand-out career at Harvard; when he was cut successively by the Warriors and the Rockets in December, 2012; on the fateful night of February 4, 2012 that was literally his last shot with the Knicks (but instead Linsanity erupted); when he was a free agent after a difficult year with the Lakers in 2015; and again in October, 2017, when, as a Brooklyn Net, he ruptured the patellar tendon of his right knee in the fourth quarter of the first game of the season. After the knee surgery, Lin, holed up in Vancouver with Fortius, a first-rate sports fitness crew. Determined to come back from the depths yet again, he set goals for the rehab not only to repair his knee, not simply to reinvent his body, but also to learn new ways of protecting himself on the court without crimping his headlong, attacking style. He remained close to the Nets, texting Atkinson with frequency, and teammates as well, following their fortunes. Lin surely relied on his faith to carry him through, but the secular side of him must have wondered where it all might lead in terms of his NBA future. Unlike in 2016-17, when Lin’s recurring hamstring issues had forced him to miss more than half the season, and the Nets fell apart without him, the 2017-18 Nets carried on ably in his absence. The whole roster was stronger, and deep enough to withstand not only the loss of Lin but also of D’Angelo Russell, who was envisioned to be Lin’s running mate in the Nets’ motion offense and the ultimate insurance policy if Lin continued to be injury prone. But Russell went down with knee injuries of his own early in the season. These Nets, though, were resilient, and came into the All-Star break with a 19-40 record, a .322 clip that was a remarkable showing given the loss of their two best players. Much of the credit went to Spencer Dinwiddie, who grew by leaps and bounds when thrust into the starting role. But Dinwiddie was not alone; he was aided amply by the solid development of Rondae Hollis-Jefferson and Joe Harris, the veteran leadership of DeMarre Carroll and Allen Crabbe, and the near limitless upside potential exhibited by rookies Caris LeVert and Jarrett Allen. But these overachievers were fraying at the break, having lost 11 of 12 in the run-up. This stretch largely coincided with Russell’s return to the lineup, and he was, actually, the main culprit, seemingly lost while trying to find his sea legs after the injury. This, in turn, spawned a legion of “Dinwiddie versus Russell” arguments, particularly as the two failed to mesh in the same backcourt. But the All-Star break was a tonic, and the Nets finished the rest of the season with a respectable 9-14 mark, a near 40% winning clip that extrapolates to a 32-win season. Russell regained his form (and his three-point shot in particular), Dinwiddie found his niche, albeit with less usage, Harris continued his progress, Allen cracked the starting lineup and LeVert flourished. The Nets had a strong young core and were clearly on the rise. 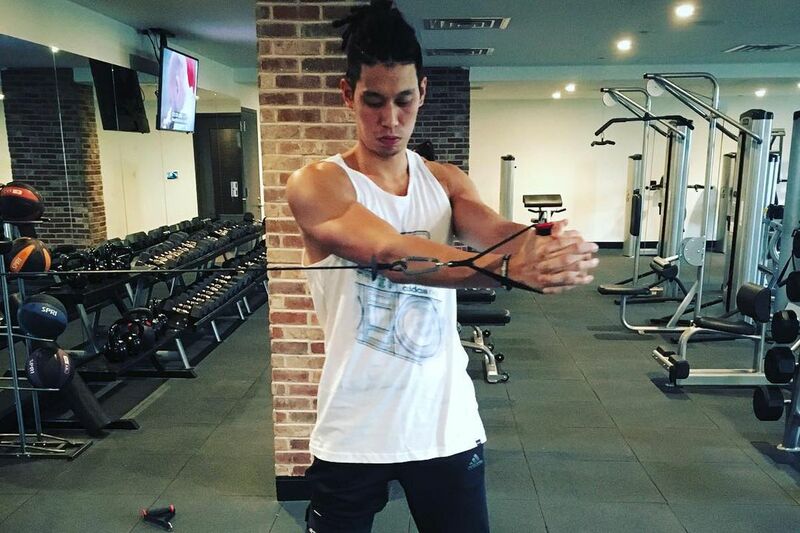 The open question heading into the offseason was: would Jeremy Lin, still rehabbing and turning 30, be a part of it? Lin clearly thought he would be a Net going forward, but the Nets’ fan base was ablaze with controversy, hardly a surprise when it comes to Lin. The Linsaniacs thought he would be good as new and envisioned a simple reboot to the Marks/Atkinson Russell/Lin plan, with Dinwiddie in reserve. The more jaded rather justifiably pointed to Lin’s inability to stay on the court for two years and his $12 million price tag, and foresaw a playing time logjam with LeVert and Harris also figuring in the backcourt mix. They looked to Marks to weave his magic and turn Lin into a future asset. And the more pragmatic of the fan-bunch found a middle ground, opining that the best course would be to see what Lin has in the first half of the season, and then deal him at the trading deadline in February, hopefully for higher value than what could be obtained for the damaged goods that Lin represented over the summer. The bombshell dropped on July 13, when Marks opted for door number two, and announced that Lin (and two second round picks in 2023 and 2025) had been traded to Atlanta for a 2020 second round pick and the rights to the obscure Isaia Cordonier. This was a shocker to Lin, who had thought that since Marks had not said he was on the block, he must be safe. But suffice to say, the only surprise about this trade to veteran NBA watchers was how little the Hawks had extracted from the Nets. Given Lin’s price tag (the last year of his Brooklyn contract, that $12 million), the thinking was Lin might have fetched a first-round pick straight up. But Marks was surely “hawking” Lin all along, and, skeptical of Lin’s rehab progress, he wanted to limit his risk, go with the youngsters and take the best deal he could get. But apparently Atlanta did not consider Lin ”dead money” material, and had enough confidence in his recovery to consider him a live playing asset. This was confirmed when Hawks’ incumbent point guard Dennis Schroeder was traded to Oklahoma City less than two weeks later, leaving Lin the only legitimate point guard on the roster other than the brand new lottery pick from Oklahoma, 19-year old shooting and passing sensation Trae Young, who led the NCAA in both scoring and assists in his one year of play. Young himself was at the center of another drama and another bombshell, the draft-day trade in which the Hawks took Euro-sensation Luka Doncic (also 19 but battle-tested for years in European leagues) as the third pick and traded him to Dallas for fifth pick Young and a protected Dallas first round pick in 2019 (or beyond). This was a stunner that rocked the NBA, as Doncic was viewed as a “can’t miss” franchise shaper, while Young was viewed as far riskier, given his relatively tepid second half of his only season at Oklahoma, plus his thin frame and complete lack of prowess on the defensive end. Atlanta GM Travis Schlenk was roasted in the aftermath, and for months thereafter, and this deal will define him one way or the other for years to come, depending on how all the pieces turn out. The Hawks were much like Brooklyn in terms of franchise development, but behind them in terms of timing. In 2019 Marks and Atkinson were starting year three of their Nets’ makeover, while Schlenk was in year two, and with a brand new coach, Lloyd Pierce. Schlenk was clear that the Hawks were in “development” mode, meaning the core group of young players would receive ample playing time, and there was little doubt that wins were less the priority but rather the opposite – the Hawks were tanking, owners of not one but two lottery picks in 2020, their own (if they lost enough) and Dallas’s by virtue of the Doncic trade (as long as the Mavs were not one of the worse five teams, in which case the pick would convey to 2021). Lin was certainly less than overjoyed to be jettisoned from a Nets team where he had been welcomed as a lynchpin, and was on the rise, to the Hawks, but this marriage of convenience clearly offered a win –win for both parties. Schlenk needed a solid NBA veteran point guard to mentor Young and a good locker room presence for the young team overall. But he also needed someone who could play, and that is where the risk lay, since there was no guarantee Lin would return to form. 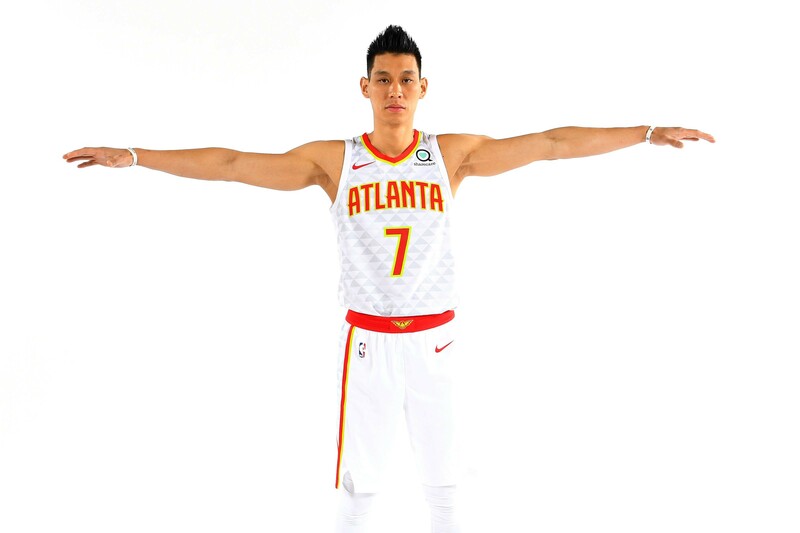 Lin, of course, needed a stage to demonstrate that he was indeed back, and to build his value in the hope that that would lead to substantial playing time, either with the Hawks or another team down the road, looking ahead to either the trading deadline or Lin’s pending free agency in the summer of 2019. On media day, Hawks’ coach Pierce, who knew Lin from their days together on the Warriors (Pierce was another assistant who worked with Lin in the pre-Linsanity years), set up Lin and Young as competing for the starting job. But while Lin arrived at training camp healthy, the reality was he was far from ready, and he knew it: “I’m not sure if I had as bad of a training camp in my career as I did this year. I couldn’t move. I couldn’t hit shots. I couldn’t make plays. Everything was going at a different speed. I couldn’t guard. I couldn’t get by people. I had no rhythm. I didn’t have 5-on-5 to build up to it. I didn’t have 3-on-3. I didn’t have any of that stuff. I just got thrown into it. It was an awful, awful training camp.” There was no real competition; Young would be the starter. That Lin was not ready was proven lamentably in the first six games of the season. He looked exceptionally tentative and made very few attempts to make plays. He shot poorly and was stiff on defense. His stats confirmed the eye test: averaging a mere 13 minutes per game, Lin shot 33% from the field, hit only one of eight three pointers, and committed more turnovers (9) than assists (8). Far from returning to form, Lin looked like someone who would be bounced out of the NBA in short order. The contrast with Young was stunning. In only his third game, the phenom sprung for 35 points and 11 assists versus Cleveland. While Young’s overall game was uneven at the outset, he was filling up the box score and certainly looked to be fulfilling the promise. He gave every indication that, in time, he could reach the high ceiling the Hawks felt he had. In particular, his court vision was elite, and he brought an energy to the offense that noticeably sagged when Lin replaced him. But all this changed once the calendar flipped to November. And it was a truly stunning reversal for both players. Lin had ended October with a reasonably productive game against the Cavaliers in the seventh game of the season; he came up with 12 points and 8 assists and earned 23 minutes on the court, even as his shooing advanced only from abysmal to mediocre (4 for 11 from the field, including 2 for 6 from the three). But the next game, versus Sacramento on November 1, was a true breakout, as Lin popped for 23 points in 23 minutes on 8-13 shooting. While much of this was achieved in garbage time, more to the point Lin played with confidence and freedom, clearly upping his productivity and giving credence to the Hawks’ plan for him. Young continued to be productive until the middle of the month. It was hardly surprising that he would hit a wall – a 35/11 in game three will wake up the NBA, as well as the highlight-reel-worthy assists he authored each night. The NBA has too many excellent veteran point guards – so good that the highest paid of them, the exceptional Mike Conley of Memphis, has never even made the All-Star team – for Young to excel on any kind of consistent basis from the outset. Indeed, in the previous years the NBA had seen a number of Top 10 draft pick points guards struggle in their rookie years and beyond, including Lonzo Ball, D’Angelo Russell, Frank Ntilikina, Trey Burke, Dennis Smith and, most infamously, 2017 #1 pick Markelle Fultz of the 76ers, who completely lost his jump shot and threatened to become an even bigger bust than Anthony Bennett. But even with that expectation of hard times, no one foresaw the depth of the slump, which last about a month. In that time, Young made only 14 of his 75 three-point attempts, a staggering 19%. He was still hoisting them up at the rate of five per game, so the numbing miss rate was impossible to miss. His defense was non-existent; he looked utterly lost in the NBA world of constant communication and switching. He also committed 58 turnovers in this 15-game stretch, about four per game, and, not surprisingly, given his dominance of the offense, the team won only three games in this stretch. Lin, on the other hand, caught fire. His November was, statistically at least, his best month since Linsanity, albeit in fewer minutes. For the 14 games in November Lin shot at an otherworldly 58%, a pace usually reserved for centers who play close to the rim. And at the three-point line, he connected at a Steph-like rate of 48%. His touch was simply astonishing for a player who had missed over a year and a half due to injuries, and was just weeks into his return. Lin looked good, but he also looked different. He was still attacking the hoop at roughly the same rate as ever, but the headlong drives were rare. Instead, he developed a new signature move, off the middle pick and roll, essentially coming off the screen, cutting off his own defender, essentially carrying him on his back as he edged down the lane, and invariably either stopping for a short, deadly jumper in the key, or drawing a foul from the frustrated defender behind him. But Lin averaged only 21 minutes per game during this heat wave, and while Trae Young struggled, there was no thought of replacing him with Lin in the starting lineup (except from Lin fans). Pierce was committed to Young and never wavered in his support, though at times he pulled Young - or the entire Hawk starting five -- quickly if the player or the team got off to a bad start. If Lin was rolling, Pierce tended to stick with him longer. But Lin only played as many as 30 minutes once in November. And yet, despite the limited minutes, he led the Hawks in scoring seven times in a single 12-game stretch, which could be an NBA record for a second-teamer. On November 16, in the midst of Lin’s tear, second year power forward John Collins returned to the lineup for the first time of the season. Collins, the 19th pick in the first round in 2017, had a fine rookie year, and after a few games on a minutes restriction, proceeded to demonstrate why he is considered the Hawks’ best player, routinely turning in 20/10 production, driven by excellent work with both Hawk point guards on the pick and roll, incredible offensive rebounding prowess, a great touch around the hoop and, as the season progressed, a surprisingly deft touch from the three-point line. At about the same time as Collins return, sharpshooting rookie Kevin Huerter entered the starting lineup (in a nice coincidence, both Collins and Huerter were 19th picks in the draft). It took a few more weeks for Young to finally shake off the doldrums, but when he did, in mid-December, the Hawks suddenly had both a respectable present and a very bright future on display. Lin’s hot streak ended in December, when he missed four games due to various minor injuries (back, biceps, flu). But it was shortly after his return that he pulled off a true “Linsanity” effort that ignited the Hawks and propelled them to more winning ways. The Hawks entered the December 18th game with the Wizards with a 6-23 record, a tank-worthy .207 percentage, and had lost 7 of their last 8. That marked the first half of the 58 games they were to play before the All-Star break. The Hawks and Wizards were tied at 82-82 when Lin re-entered the game at the start of the 4th quarter. Lin had had a very quiet game to that point, with only 4 points, but that soon changed. Lin, working the middle pick and roll to perfection, nailed five driving lay-ups and a snazzy switchback, step-back 17 foot jumper in a five minutes span to put the game out of reach, throwing in two assists, and a take-charge and a few John Wall stops on the defensive end. It was a vintage Lin down-the-stretch performance. From there, the Hawks played extremely respectable ball; in the next 29 games before the break, they improved to 13-16, a .448 pace that, if it continues, could diminish their lottery odds. Lin was not the key to this drive, but more of a vital cog. Collins, Huerter and Young were the Big Three for the Hawks, amply supported by a bunch of savvy veterans including Lin, the ageless Vince Carter, Dwayne Dedmon, Alex Len and, ultimately, Taurean Prince and Keith Bazemore, who missed large swaths of the first half due to injuries but returned productively to the lineup in the new year. As mentioned, with Bazemore out, Lin began (finally) to see some time at the off-guard next to Young, and overall his minutes went up to 24 per game in January, approaching his career average of 26. But with Young’s strong play and Bazemore’s return at the end of January, the handwriting was on the wall. In early February Lin slipped back to 17 minutes per game, with the February 7 trade deadline approaching the rumblings that Lin would be off to some new destination grew louder. The rumor mill was active for all the Hawks’ veterans (save Carter), but the deadline came and went without any of Dedmon, Lin, Bazemore or Prince departing. And thus began the buyout season, another NBA happy hunting ground, typically for veterans stuck in dead-end situations with expiring contracts, searching for a home with either contenders or lesser teams where they could get some minutes to show off their wares before the summer shopping season. Lin was a prime candidate for this market, as any number of contending teams could use help at the crucial point guard position, with Lin’s ability to play the off-guard a bonus. The trade deadline rumors focused on Sacramento, Philadelphia, Portland, Orlando and others, including Toronto. It wasn’t terribly surprising that the deal came together so quickly. The Raptors, an elite team in the East (just a half-game behind the Bucks for the top seed) had been among the rumored teams for Lin’s services for quite some time. All-Star point guard Kyle Lowry, turning 33 in March, had missed 12 games due to a balky back, and neither of his two back-ups, Fred VanVleet (more of a shooting guard) and Delon Wright, were ideal for either the back-up point guard role or emergency starting duty if Lowry went down again. Wright was, in fact, traded at the deadline as part of the coup the Raptors engineered to acquire Marc Gasol from Memphis to play the post. And VanVleet had just injured his thumb, a ligament issue initially thought to be relatively minor, but, in fact, ultimately required surgery that could keep him out for most if not all of the balance of the regular season. Thus the Raptors’ need was acute, and Lin, a long-time favorite in Toronto, was a natural choice. The Hawks, at Lin’s request, waived him, and he signed with the Raptors on February 13, just in time for a home game against the Wizards. Lin’s time with the Hawks could not have not been scripted better for all parties. For the Hawks, Lin indeed provided veteran leadership in the locker room, where, along with Vince Carter, he was a popular role model, and on the court, where he excelled in his role. He developed a strong relationship with Young, and also provided Pierce with a steady alternative, one who played the point guard position similarly to Young (featuring the pick and roll), though less flamboyantly. For Lin, Atlanta was a low-pressure showcase to prove he was back, as well as a laboratory for the modified game he created to match his body, with more controlled drives to the hoop. Up with the trends of the modern NBA, a career high 65% of his shots were either at the rim or beyond the three, and he had virtually eliminated the long (non-three) jumper from his shot selection repertoire. Defensively he held his own, though not quite as athletically as before (exemplified by the near disappearance of a former nifty Lin trademark, the blocked shot, where he typically was ranked in the top five among point guards). The only black mark was his three-point shot, which simply deserted him after the torrid November; Lin shot an anemic 25% from December to the break. That said, he remained an effective and efficient offensive force, averaging 10.7 per game in just 19.7 minutes per game, and on just 7.6 shots. And he re-established himself as one of the best back-up point guards in the league, and certainly starter material if that elusive opportunity ever emerged again. Statistically, his Atlanta numbers held up well in comparison to his career norms, more closely resembling his highs in New York and (his abbreviated) stint in Brooklyn, exceeding those of Houston, Los Angeles and Charlotte, as amply demonstrated by his per-36 stats (below). Most of Lin’s career bests (and “second bests”) have, in fact, occurred in his last two full seasons, and the shooting stats in particular have been very solid (save the three-pointers in Atlanta). Having said that, for all of the inconsistency charges Lin has endured, the game-to-game mix of Linsanity eruptions over the years and confounding poor performances, he has been a remarkably consistent player over the course of a season, as his career stats reveal. You would hardly know that the narrative of Lin painted Houston and Los Angeles as “disastrous” seasons when he “lost” starting positions, whereas Charlotte was a “golden” time when he shone. The statistics in those periods are actually remarkably similar. So, once again, Lin had risen off the scrap heap and rescued a career that had been derailed many times by indifference and injury. And it was on to Toronto. It is hard to imagine a more congenial setting for Lin to perform than in Toronto, which is Atlanta’s polar opposite in so many ways. Toronto is a NBA championship contender; they play to win every night (unlike a developing team – call it “tanking” if you will -- that is stressing playing time for their young players and desirous of the lottery picks that come with mounting losses); their fans want them to win every night (definitely a mixed emotion for tanking teams, with this year’s fantasy object, Duke’s extraordinary Zion Williamson, in their sites); they have star players on their roster (Kawhi Leonard and Kyle Lowry); and, with the addition of Lin and Gasol, are two-deep in veteran talent at every position. For Lin to contribute meaningfully to this team is an amazing opportunity. And he will get that opportunity, on the court. The injury to VanVleet, while certainly unfortunate (and not the way one wants to gain playing time), certainly opens up the door for Lin to see a steady 25+ minutes per night backing both Lowry and running mate Danny Green. The fact is, Lin is moving from a losing team, focused on the future, getting 12-16 minutes per night, to a major contender where he could easily double that total. And it gets better. Toronto, quite simply, loves Jeremy Lin. Who can forget how the Air Canada Centre erupted in pandemonium when Lin drained a three-pointer over Jose Calderon in the midst of the Linsanity run in 2012? Check out the replay on YouTube…it’s easy to forget that it was the home team that was vanquished with the game-winner. Watch the fans flying out of their seats, levitating with glee, as an opponent drives the dagger into their own team. They were positively, well, en-Raptored. It does not hurt that Toronto, a cosmopolitan, international city, has an enormous Asian population providing the basis of that support. Atlanta fans certainly respected Lin (at least after he started playing well), but they never saw Lin as a long-term piece of the puzzle. 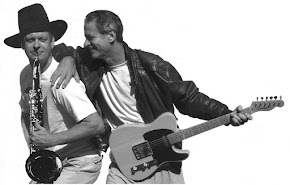 Their love was for Young, and why not, he was the future, and an energetic, charismatic, gleeful performer as well. Lin, a short-term rental, found himself, for the first time in his career, largely viewed with indifference by the home town fans. Finally Lin, throughout this career, has found the Raptors to be his absolute favorite opponent, as the stats bear out. Apart from the epic Linsanity game, this included another top-10 effort in this career, an incredible game when Lin was with Charlotte, in December, 2015. It was one of the 12 games Lin started that year (Lin averaged 18 points per game in those starts), when Lin, subbing for Nic Batum, alongside Kemba Walker, scorched Toronto for 35 points in 47 minutes in a Hornets’ overtime win. Clearly Lin is comfortable in Toronto. The timing was tight for Lin to make his debut with the Raptors before the All-Star break, but he made it, signing his contract and arriving in Toronto just hours before game time. He had time enough to learn a grand total of three plays in a late afternoon run-through. He reclaimed his old Linsanity #17 after texting the recently departed Jonas Valanciunis, who wore the number for nearly 500 games for the Raptors, to secure his permission. As it happened, I was visiting Toronto on that day, February 13, on business, and found myself stranded there when all flights back to New York were cancelled due to weather. So I simply bought a ticket at ticketmaster.com and made the 10 minute walk from my hotel to ScotiaBank Arena, and readied myself for this next chapter – the first in-season switch of Lin’s peripatetic career. Lin entered the game at the 4:05 mark of the first quarter, to what can only be described as a thunderous ovation. He was clearly feeling his way in the early going; he made a steal on his first defensive play, but attempted a too-cute-by-half feed to Pascal Siakam, instead of attacking the hoop, and turned it right back over. He did rattle in a three, but a foul away from the ball negated this effort. But despite such little prep, he managed to fit in and contribute, ultimately filling the box score with 8 points, 5 assists, 5 rebounds, a block and that steal in 25 minutes. About half of that time he was on the court with Lowry, in sharp contrast to Atlanta, where he managed only 142 minutes with Young in 51 games, or less than 3 minutes per game. The Raptors beat the Wizards 129-120, and Lin was on the court for a critical stretch when the Raptors ran off a 15-0 run to overcome a 12-point deficit in the third quarter, the streak punctuated with a nifty Lin reverse layup off a stellar Lowry feed. Lin ran the offense capably while Lowry rested, complemented him when they played together (the Raptors were +10 when the two were paired), and played steady team switching defense the whole time, and the crowd loved every minute. Lin will clearly get his chance to showcase his talents in Toronto; where this takes him will be another matter. It will certainly be to his advantage if, in addition to overall positive contributions, he can straighten out his three-point shot. It is almost a necessity for a combo guard to demonstrate perimeter competence in today’s trigger-happy NBA. It is easy to imagine ample pick and rolls with Serge Ibaka and Gasol, and with Leonard, Lowry and Siakam (who had 44 in the Wizards game) occupying defensive attention, Lin will often be the open man even when he is not initiating the action. A productive and deep run in the playoffs is a perfect showcase, but for what? Lin will, of course, be a free agent as of July 1; exactly what he will be looking for is less clear. Even with an exceptional run, Lin’s dream, a starting point guard job in the NBA, will be hard to find. One can make a good case that Lin is one of the top 30 points guards in the league, but that is no guarantee of such a slot. The better teams already have excellent point guards, and the lesser teams are often trying to develop one early in their career. It’s not expected that another Trae Young is in a draft, an instant starting point guard, and so, if Lin wishes to start, where might he end up? This is a hard game to play, because so many NBA point guards are eligible free agency, starting with superstars Kyrie Irving and Kemba Walker, and on through more than a dozen in the “next tier” group, including Lin age-group peers such as Darren Collison, Ricky Rubio, Jeff Teague, Derrick Rose and Pat Beverly, as well as some of the younger generation including D’Angelo Russell (who the Nets will almost surely sign up) and Emmanuel Mudiay (supplanted in New York by Dennis Smith). One could well imagine Orlando as a potential target for Lin as a starter. They are a borderline playoff team (a half-game out of the playoffs in the East right now) who have been operating with career back-up D.J. Augustin as their starter, who has played very well but is overmatched defensively. Orlando just acquired former first round pick and potential dud Markelle Fultz. Steve Clifford, Lin’s former coach in Charlotte, has the helm in Orlando, and he has always been a Lin fan. Beyond that? Phoenix could use a point guard, unless Tyler Johnson’s audition turns around quickly after a difficult start. Detroit seems perennially dissatisfied with Reggie Jackson. Collin Sexton has struggled in Cleveland. The Clippers, the Spurs or New Orleans do not have ideal point guards today. But then again, might Lin decide, at this stage of his career, that serving a back-up role for a playoff bound team is a more realistic future? Any number of NBA teams – including Toronto, with an aging Lowry – might be interested in him in this capacity. Lin could provide starter-quality backup work plus a first-rate insurance policy should the first-string star go down. And plenty of NBA teams, like Toronto, love playing two point guards at once, and so backing up a star does not necessarily mean limited minutes, it could well mean the 26 Lin has averaged for his career. There can be no destination that is truly a shocker, except, perhaps, say, Houston or Oklahoma City. But Lin may have to wait to see where Irving and Kemba end up and how the dominoes fall from there. Jeremy Lin’s epic, unique story is not over, perhaps far from it. But it has been such a roller-coaster, as he has picked himself off the mat time and again, that it practically demands one more climb up to the peak of the mountain, one more long stretch where Lin commands the ball and makes us dance. It seems unlikely, but frankly, so has every other step in the journey. Who would have scripted Linsanity itself? Who knew the Knicks would not match Houston’s offer? That the Rockets would trade for Harden? That Byron Scott could be so bad? That Charlotte would work out so well? That Brooklyn would be such a disappointment? And that, just seven games into a return from such a devastating injury in Atlanta, he would enjoy one of his finest months of play ever? But regardless of whether there are more epic turns on up the road, Jeremy Lin has established himself as a solid NBA point guard in an era where point guards are sublime. Below is a chart of the primary NBA point guards over the last decade. The chart below divides these point guards (and I certainly could be missing a few – it is designed to include those who entered the NBA from 2005 to 2013, and lasted for a decent career), into four groups, top/middle/lower tier starting guards (those who started roughly half their game or more), and then the bottom group which includes those who were subs for the great majority of their games). Forget about “what might have been”; forget about cherry-picking the best of times; forget about “per 36” stats. Just taking the straight up career statistics, it is clear that within his era as an NBA player, Jeremy Lin has been a solid, middle-tier starting NBA point guard, neither a superstar nor an All-Star, but not simply an elite back-up. His peer group is George Hill, Darrin Collison, Jeff Teague, Goran Dragic and Reggie Jackson. Even though each of them has been handed the ball and ran a team for major stretches of their careers, Lin stands up extremely well in comparison. No one knows where the Jeremy Lin story goes next; it seems almost every possibility is on the table, from playoff stardom to a starting role in 2019-20, to less happy outcomes in both 2019 and next season. But the next step -- a real opportunity to shine in a potentially deep playoff drive in Toronto -- certainly has a great feel to it. And it begins tonight, when the Raptors take on the Spurs at home, 7 PM EST. And we’ll be back one year from now for Part 6, to see how it all worked out.